From “Great Salt Lake City, U.T.” on June 24, 1865, O.H. Irish wrote a letter to the Commissioner of Indian Affairs in Washington, D.C. 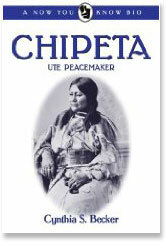 He described his experiences negotiating a treaty with the Ute Indians living in Utah Territory. He had asked several bands of Utes to meet him at Spanish Fork Indian Farm on the sixth of June. He also invited “the Federal Officers and the Military Commandant…and Ex-Gov Brigham Young to accompany me, to render such information and assistance as they could. 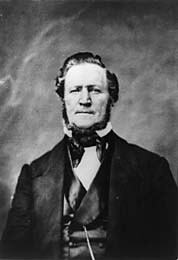 All of the Federal and Military Officers declined going because Brigham Young was invited.” The Territorial Governor, the U.S. Marshall, the Collector and Assessor were the only officials who agreed to attend. By terms of the treaty, the Utes would give up their right to all lands in Utah Territory except the Uintah Valley, which would be their reservation. In return, the government would give the Utes $1,000,000 paid over the next sixty years. Four existing reservations totaling more than 291,000 acres would be sold and the Utes would receive the proceeds. The government would build a mill and mechanic shop and provide a variety of support and training for ten years. This treaty was never ratified by the U.S. Congress. Census records give us some perspective on early day Colorado, but only if we understand “Colorado” at that time. Colorado did not yet exist when the 1860 census count was taken. Parts of the future Colorado Territory lay in the Kansas, Nebraska, Utah, and New Mexico Territories. The individuals recorded in the “Colorado” census were found in the Nebraska Territory communities of Boulder, Boulder Creek, Denver, Gold Hill, Platte River and Miraville.